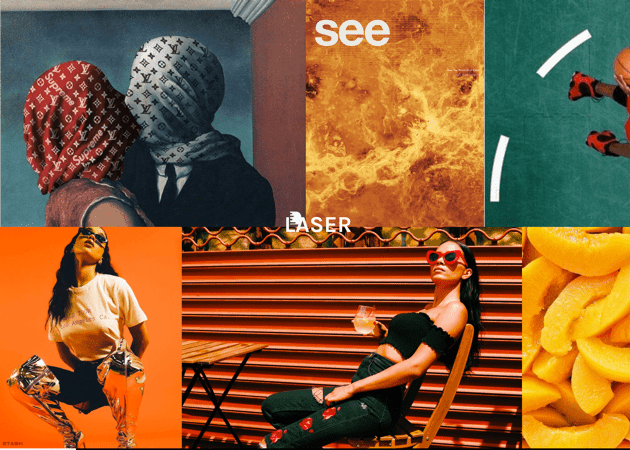 We’ve searched the web and put together a list of the 60 best tweakable, sleek and modern minimal Tumblr themes for 2019. Tumblr’s dashboard is a one-size-fits-all UI that catalogs the often bizarre postings of an interconnected community of media-heavy blogs, sorted by time and date. The timeline’s visual palette is noticeably idiosyncratic – lying outside of social media norms, favoring digital art and Photoshop edits over selfies and lifestyle photography. The action of scrolling endlessly through Vaporwave tracks, Seapunk GIFS, and Cyber Goth fashion, leaping between aesthetics almost instantaneously from post-to-post, is as over-stimulating as it is addictive. 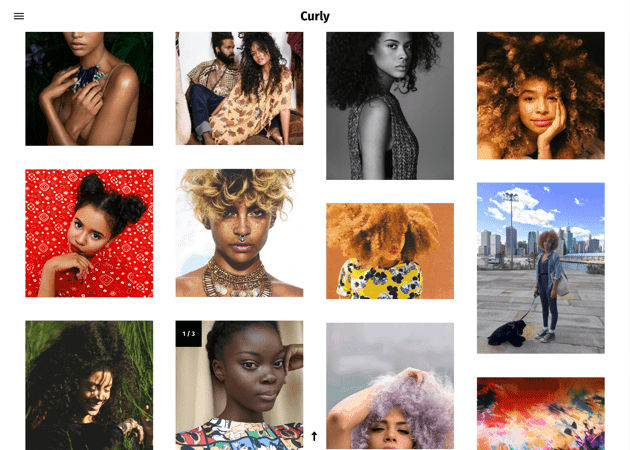 Where the dashboard throws anything and everything together regardless of aesthetic, the URL’s of Tumblr’s users are often carefully curated, showcasing visually consistent themes and ideas. It’s a blessing then that Tumblr recognizes the tech-savvy, micro-trend-leanings of its users and allows the customization of personal pages. We’ve cataloged 60 contemporary minimal Tumblr themes, cleverly coded to skip superfluous detailing that best serve blogs exploring a monochromatic, stripped-back aesthetic. Laser is a clean and beautiful free Tumblr theme. The thing I like the most about Laser is the infinite scroll that looks beautiful in any browser. I find Basic a great Tumblr theme for personal blogs, photographers, artists, and for anyone who likes an image focus site with an extremely clean design. Seems like the creator of Eclipse understand something most of the people don’t. People like it simple, and when it comes to simple & clean Tumblr blogs, Eclipse is one of the best free themes you can find in 2019. Something in the Curly theme really caught my attention. I absolutely love that you can choose between 2,3 & 4 columns for posts. It also seems like Curly understand the value of social media because this Tumblr theme provides clean Instagram, Twitter, Flickr & Dribbble sidebar widgets. Square is like the most aesthetic Japanese theme I ever saw. 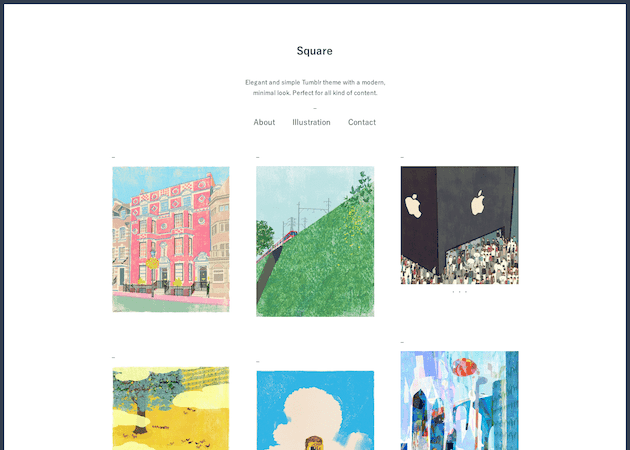 Square is a perfect choice when it comes to showing your hipster, anime, artwork to the world. ‘Candice is a single column Tumblr theme created with both visual and text posts in mind, which is why no matter what post type, your posts are displayed beautifully. Almost everything is easily customizable without the need for any coding. 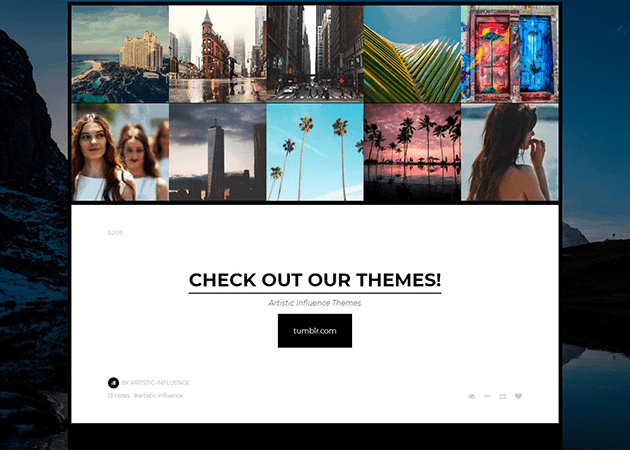 This theme is retina ready and 100% responsive, it will look great on any tablet, cell/mobile phone, laptop, and desktop device.’ Candice can be a great choice if your Tumblr page is about music, travel, photography and more. Simple, Clean, Minimal and Beautiful. The Callisto theme has it all. 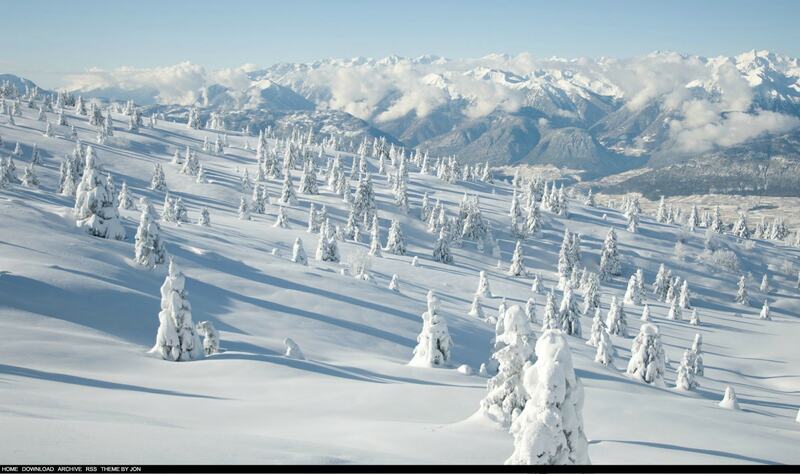 The Instagram and Flickr widgets will help any Tumblr page to increase their social reach. 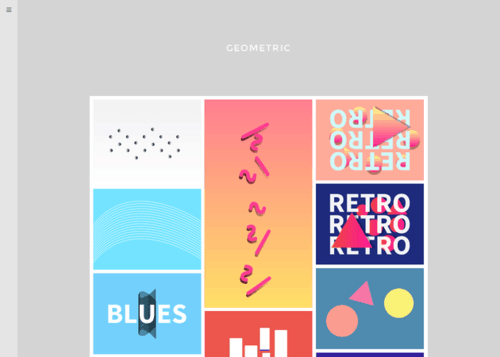 This Tumblr theme is a combination of hipster, aesthetic, clean, and marvelous in one simple theme. 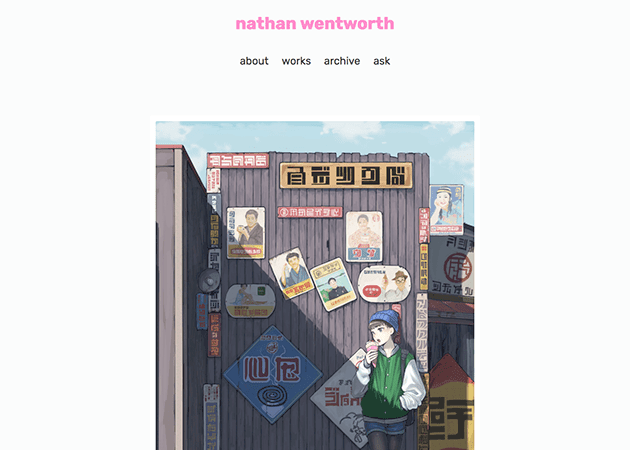 It’s one of my favorite free Tumblr theme for 2019. 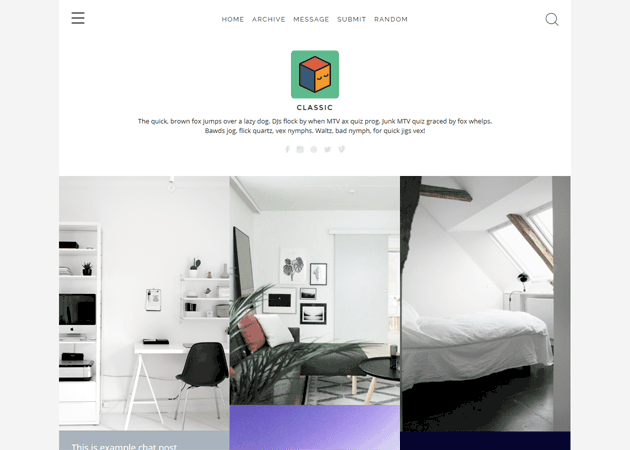 Theme 121 is a simple clean and minimal Tumblr theme you can use for free. GRID is a pretty cool Tumblr theme. It’s suitable for musician and artists. Skyfall is among the most colorful themes I ever saw. Perfect for indie, hipster bizarre art. You can use this clean Tumblr theme to make your page look unique! 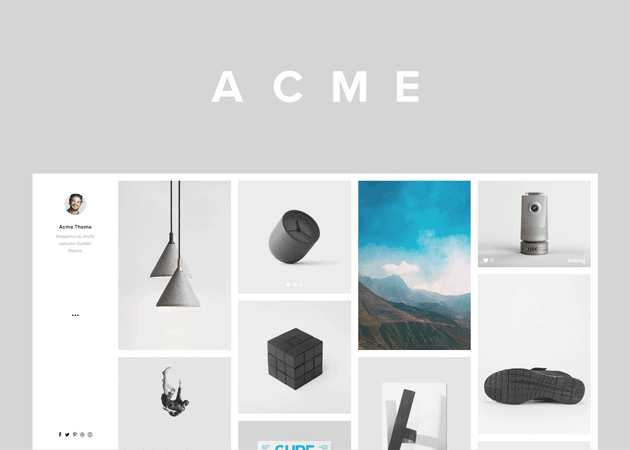 ‘Acme is the ultimate minimal theme. 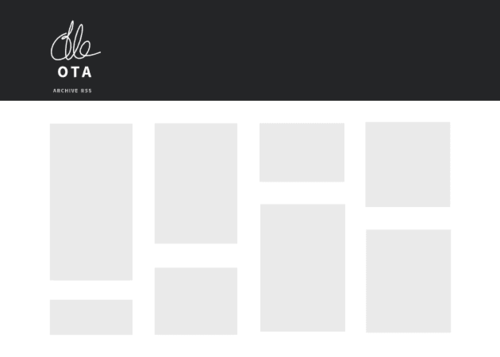 A responsive, multi-column grid layout married with a sleek, minimal design. Cinereoism is a clean minimal Tumblr theme you should check out in 2019. The name says it all. 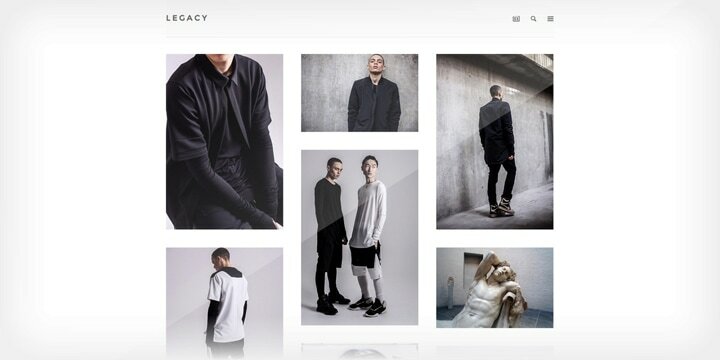 You can’t find more clean and minimal Tumblr theme that this one. 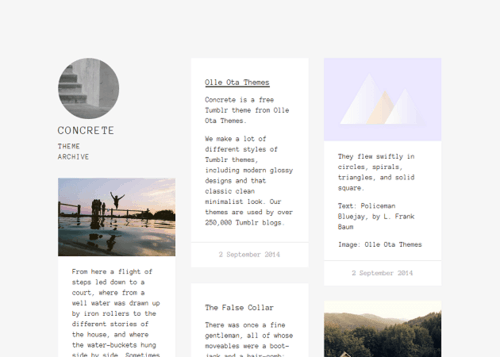 This free minimal Tumblr theme seems like a perfect choice for bloggers. 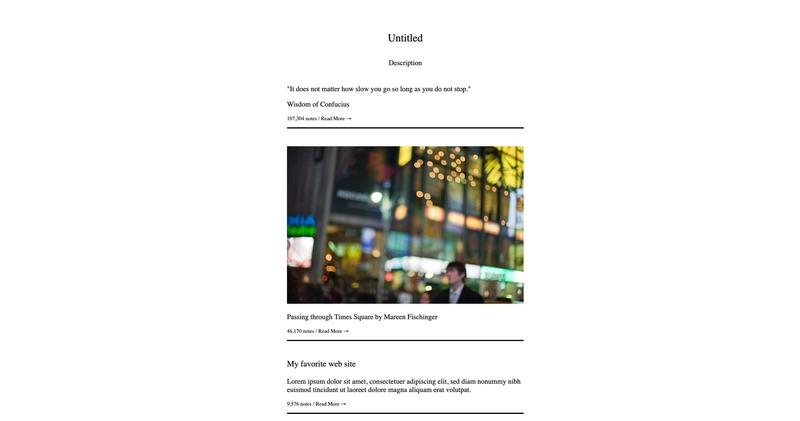 Plateau is a clean responsive theme for bloggers. Easy to use minimal Tumblr theme. Salvia is one of the best Tumblr themes to share with the world your passion. It’s beautiful, clean, and eye-catching. 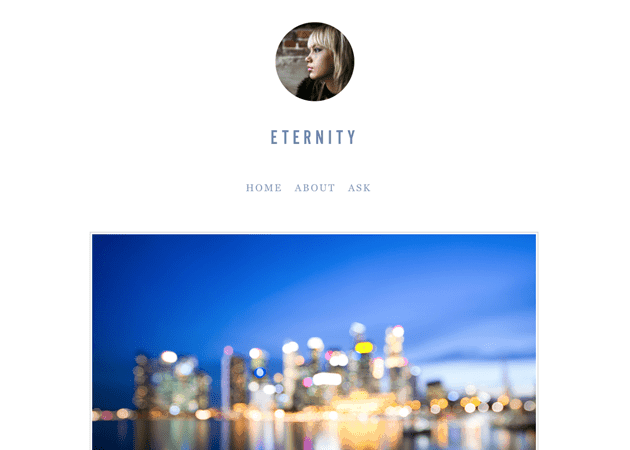 Runaways is a free clean Tumblr theme for bloggers. ‘Klein is a clean, minimal and highly graphic theme designed exclusively for you by E–Z. Customizable elements are thoughtfully chosen to give maximum flexibility while still maintaining its design integrity at all times. Geared towards creative types– artists, curators, image collectors, designers, the theme frames all content types nicely and packs ’em with an extra punch. 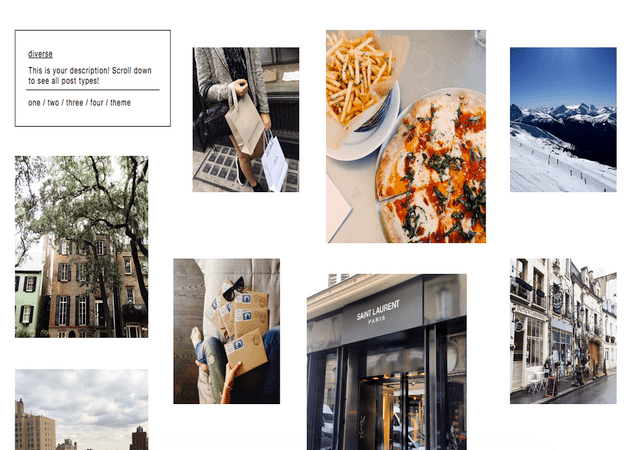 If you’re a blogger in 2019, Min will be one of your favorite Tumblr themes. I love the way the author image placed beautifully in the top slider. It will give your Tumblr page a lot more personalization in the eye of your readers. Very clean and minimal Tumblr theme. Extremely simple design. This theme by Matthew Palmer reminds the previous theme (Mesura). The main difference is the full-width style that Light Minimalism has. Vast is one of the most beautiful themes I ever saw for Tumblr, and it’s free. I highly recommend this to anyone who wants to show their art in 2019 (photography, music, travel, digital art) to the world. One column never looked so simple and clean. 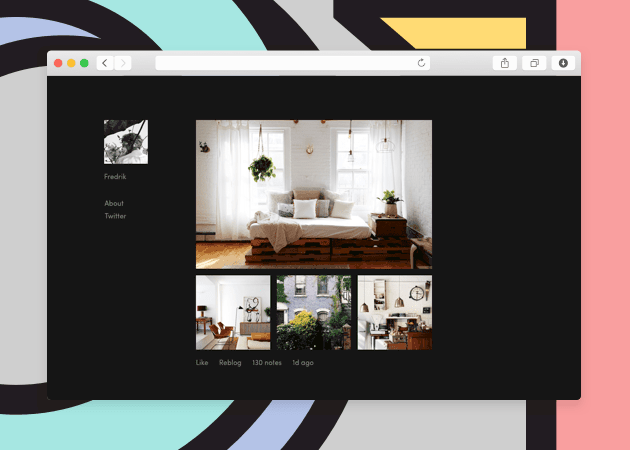 Present is a beautiful minimal Tumblr theme you gonna love! 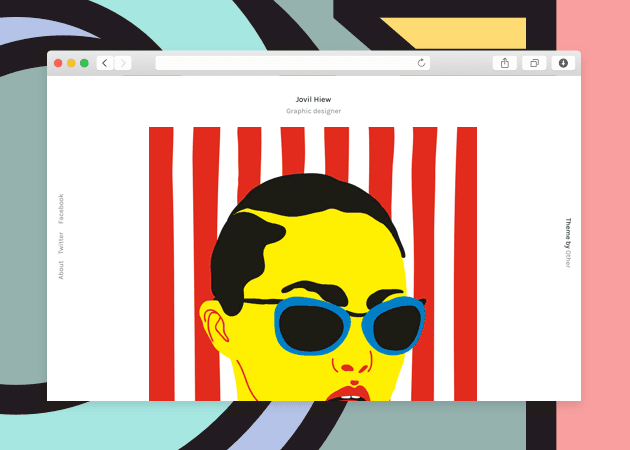 Narrow is a perfect Tumblr theme for Photographer, Bloggers, Travelers, and much more. This clean theme display photos in a cards style, which gives the theme his own uniqueness. 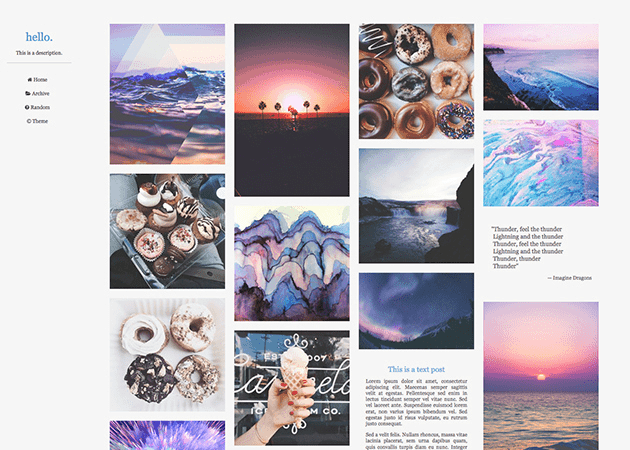 Another beautiful free and simple Tumblr theme by Desparate. If I need to describe Cruise in one word, it will probably be “WOW”. Cruise is clean Tumblr theme with great fonts and refreshing look. I think it’s a perfect theme for bloggers, gamers, tech people and anyone who wants to have a clean Tumblr blog with a colorful look. Vudu is a minimal and simple Tumblr theme. 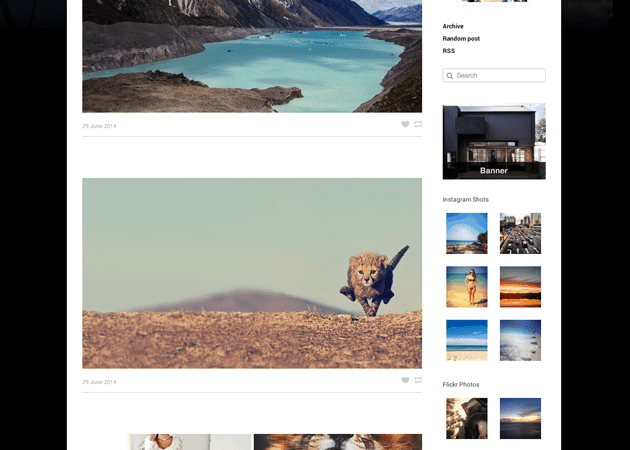 Ame is a high-resolution theme designed for images. 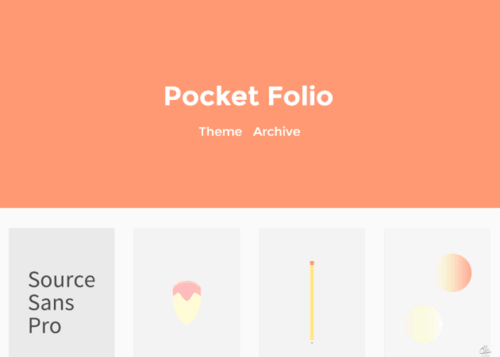 This theme is perfect for artists who want to display their art in a creative way. I find Ame style perfect for indie/hipster Tumblr blog style. Clean, Minimal, Unique, and Beautiful Tumblr theme. 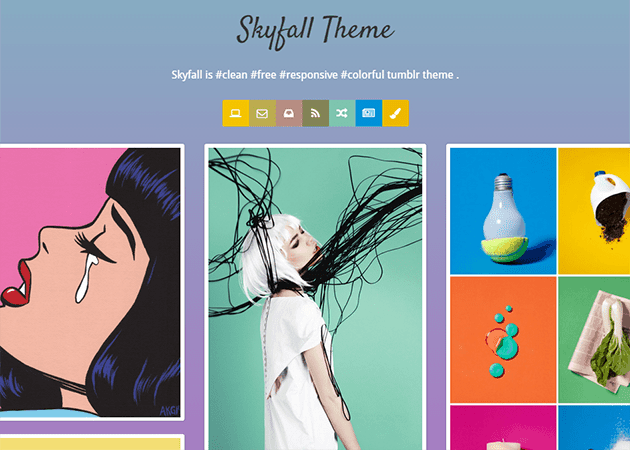 This beautiful theme is a great choice when it comes to aesthetic clean and impressive Tumblr theme. Perfect theme for blogger and photographer for 2019. Tell your story in a beautiful way. 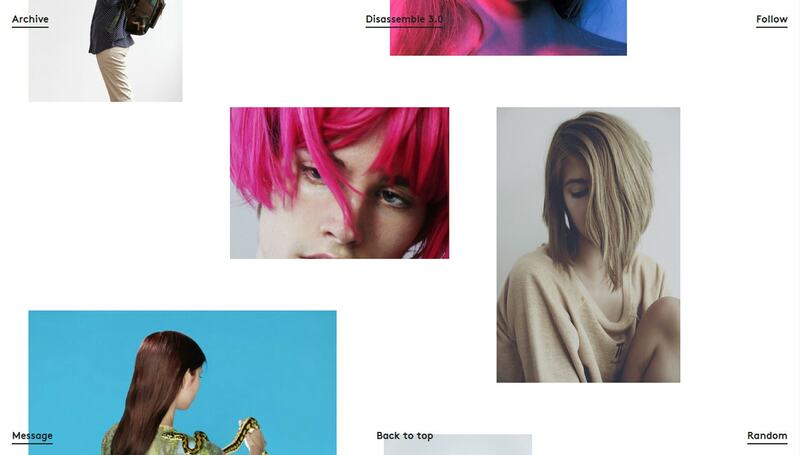 This minimal Tumblr theme is just amazing. Another great theme by desparate. 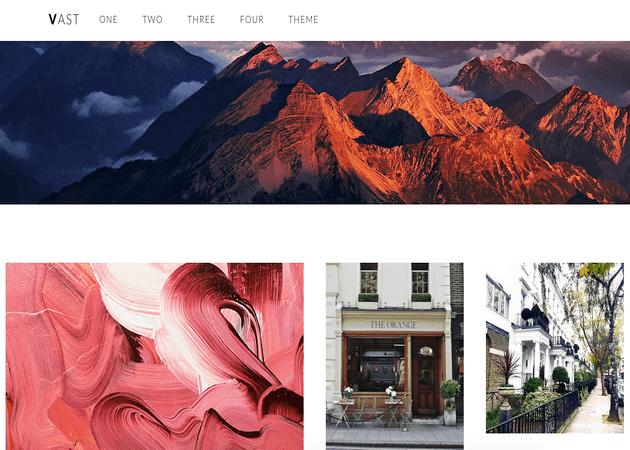 Revolve is a clean Tumblr theme built with a header and sidebar version. It’s cover options is designed to give your blog a much more personal look. Its wide array of customizing options offers adjustable post width/margin, over 20 google fonts, and 3 photo hover style. Pation comes with sticky navigation and a minimal grid layout, with the option “Randomize Post Size” turned on, a new layout will be generated with each reloads. In addition, it also comes with 35+ font options, 10 social links, 3 hover styles, along with the ability to customize post size/gutter and popout ask/submit box. Syndex is an uncompromising, highly functional mood board. Nothing stands in the way of your media and viewers. All Tumblr options are minimized yet only a click away. A sharp & unique grid theme. Level is a Tumblr theme with a heavy “user experience approach”, the simple and straight forward design allows your audience to browse your blog in a direct matter. With the use of Ajax loading (popup) users are allowed to read content without ever needing to reload. It is also built with a responsive design, which means it will look good even on your tablet and mobile phones.